Sold by Distribution Network and Fulfilled by Amazon. Gift-wrap available. With Natural Colors, Gold and Silver Color! 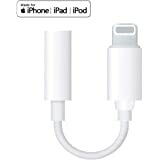 Sold by Distribution Network and ships from Amazon Fulfillment. Sold by HAPPY MONKEY and ships from Amazon Fulfillment. 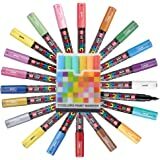 [Ink Color : Black, red, blue, green, yellow green, purple, yellow, orange, peach, light blue, brown, white, gold, silver, Pastel Yellow, Pastel Orange, Pastel Green, Pastel Purple, Sky Blue, Light Pink, Coral Pink] Good your purchase Uni-posca set using various ways for such as brief note, illustration and pop art. 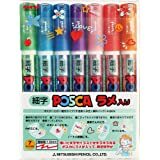 It is water-based marker with waterproof and can write for metal, glass, plastic, mirror or any surfaces. 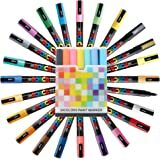 Each color is brilliant like a poster color and ink won't bleed through paper. It never invades your choosing materials and also without unpleasant smell. Let dry after application and new ink can completely cover the previous color. 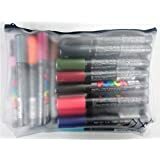 I used to experiment with lots of different types of art mediums in the past and one of them were acrylics markers. 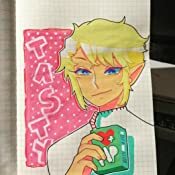 It was fun and easy to use since I am more familiar with pens when it comes to drawing. However, the old markers I had purchased wouldn't always fill in the area I colored, and sometimes rubbed off the previous layer. Fast forward to today. 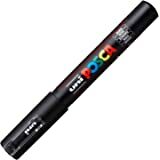 I have seen lots of instagramers playing with posca pens and they piqued my interest, but not enough to begin to even invest in them. I kept remembering my past experiences and I remember more cons than pros to them so I strayed far away from them thinking it was not worth the investment. 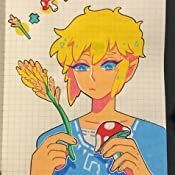 My friend happened to buy some posca pens because of the hype. I saw her drawings in real life and found it so shocking. The pens, even though they were extra fine, did not leave any scratches nor did the nibs rub off. It really made me want to try them so I thought, why the heck not. If I didn't like them then I could give it to my nieces to play with. I am soooooo glad I finally gave these pens a try after sooooo much time eyeing them. 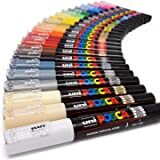 Everything I felt peeved about my old acrylic markers have been solved with this brand and I couldn't be any happier. 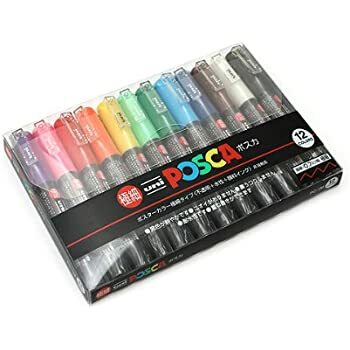 I started using them on grided notebook paper so that it would be more obvious that I was using the posca pens then just some ordinary marker (like copics or something). 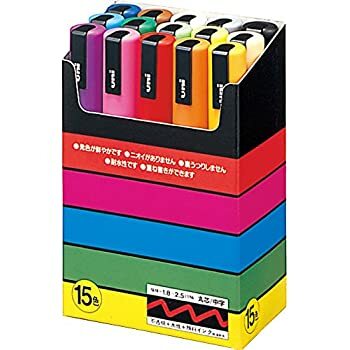 I especially love them because they have a limited color range. I was a lil skeptical about it at first but definitely appreciate it now. I always use the same colors over and over again with other mediums so my artworks would always look the same, but since posca pens only have a few colors (or at least the ones I bought) it pushed me out of my comfort zone and choose colors that I would normally never put together into a piece, and as a result, actually liking it (rare for me to like my own drawings). So yes, I do really think they are worth the purchase. 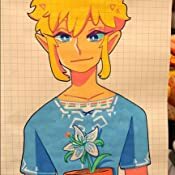 P.S I also like to draw Link from Legend of Zelda a LOT. 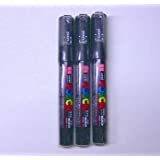 5.0 out of 5 starsVivid and bright markers. Perfection! 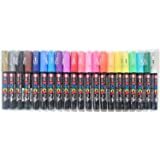 These markers are georgeous colors and wonderful quality. They are bright and true. I was concered with visibility of colors in layers when i started my project, but everything is so vivid and perfect. There are always concerns about opacity when using bright colors like yellow and orange, but these are so solid i couldnt believe it. I will definitely continue to use this brand, and when these run out will happily buy another set! 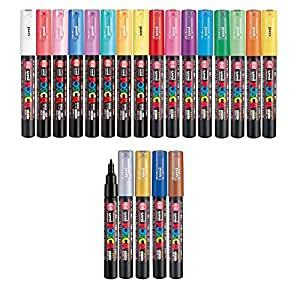 5.0 out of 5 starsGreat markers!!! 3.0 out of 5 starsFrustrating faulty pens, constantly an issue, ruining projects. I have a love/hate relationship with these pens. At first, they worked quite well, after approx one week of random to little use, they became the biggest pain ever. 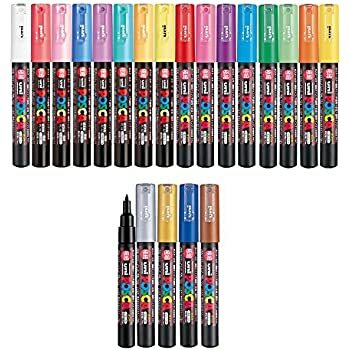 Every time I used certain colors (white, black, orange, pink, green), either tons of paint would flood out of the tip of the pen or nothing would come out at all. I cant count the many projects I had to scrap and restart because of these faulty pens. While I do like the coverage the paint provides, I am not happy with the hit/miss quality productivity overall. 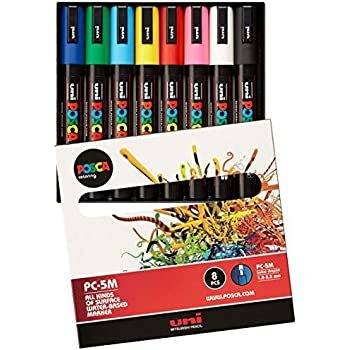 These are excellent for drawing on rocks, much better than oil-based paint pens. The range of colors is wonderful. I have this set (.7 mm) and the .9 mm set, and find myself using the .7mm set the most to draw detail, and the .9 mm to fill in color. I would definitely buy these again. I love these. I have them out all the time next to a bowl of smooth stones. 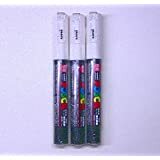 Kids can pick up a stone anytime and start creating a work of art with these paint markers. Only thing is the paint is low-sheen when it dries, so you may want to paint on a low sheen varnish to protect your design. A little sheen makes colors pop—and last longer. Keep designs out of direct sunlight, colors might fade after a year or so. But all the paintings we’ve gotten out of these and none of them have run dry yet. Impressive. 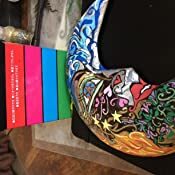 5.0 out of 5 starsNew favorite medium!